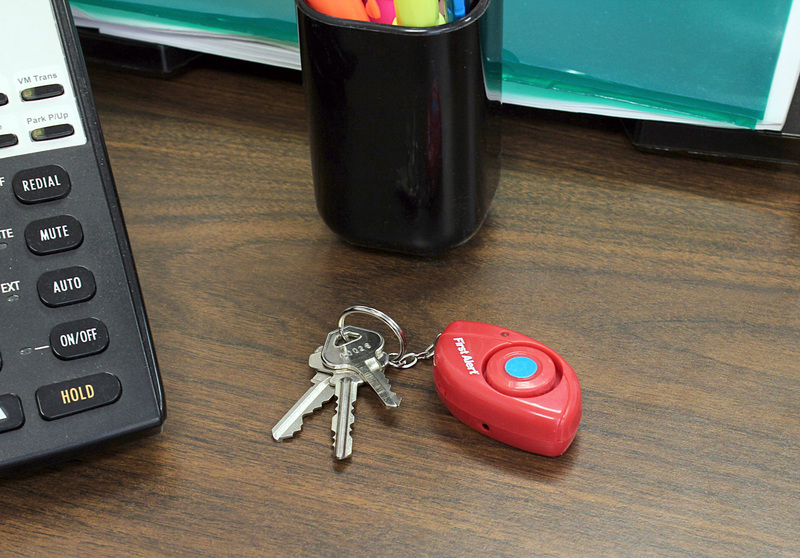 The FIRST ALERT™ SFA200 uses radio frequency to find your keys or other lost items. 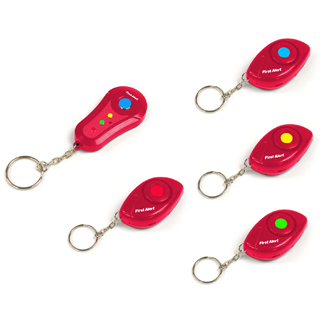 This convenient gadget is so easy to use; simply press the button on the transmitter that corresponds to the color receiver you're looking for to trigger a beep from that receiver. The volume is loud enough to hear even when your lost item is in another room or buried deep in your sofa. The beeping sound will continue for ten (10) seconds each time you push the transmitter. This handy device operates when transmitter and receiver are up to 145 feet apart. Never lose your keys, wallet, purse, or other important items again.